Simply put, this is an amazing interview with a guy who is wise beyond his years! 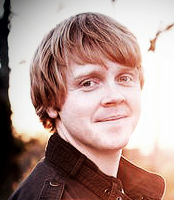 Jeff Goins is a prolific writer, blogger and author with an inspiring story and attitude to match. In a little more than two years, Jeff went from being an unknown with no fan base to being a highly regarded writer who was able to quit his day job earlier this year. Why you don't have to have it ALL together to eventually "turn pro"
How Jeff built an audience and a platform around "helping people"
Jeff's book, "The In-Between: Embracing the Tension Between Now and the Next Big Thing"